Hilary joined Watsi on November 21st, 2015. Two years ago, Hilary became the 2431st member to automatically support a new Watsi patient every month. Since then, 2,655 more people have become monthly donors! Hilary's most recent donation supported Teresiah, a woman from Kenya, to fund thyroid surgery. Hilary has funded healthcare for 35 patients in 10 countries. 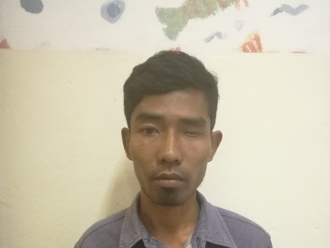 Wah is a 20-year-old man from Burma. Before his accident, Wah and his mother used to work as day laborers on different farms near their home village. 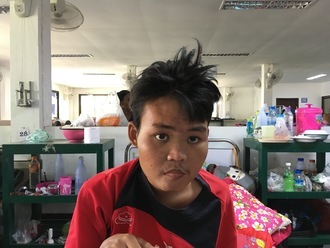 In October 2017, Wah fell ill after working and decided to stay at a friend's house. His friend lives in a house on stilts. At night, he woke up with stomach pains, and when he went to the edge of the house to vomit, he suddenly lost consciousness and fell out of the house. Wah was found later that night, lying on the ground unconscious and with a broken arm caused by the fall. Shortly after the fall, Wah developed severe walking problems. After multiple visits to hospitals and clinics in Thailand, he was diagnosed with a possible brain tumor. Doctors want Wah to undergo a CT scan, a procedure in which x-ray images taken from several angles are combined to produce cross-sectional images of the body. This scan will hopefully help doctors diagnose his condition and formulate an appropriate treatment plan. Our medical partner, Burma Children Medical Fund, is requesting $414 to cover the cost of Wah's CT scan and care, scheduled for March 6. Wah's mother says, “I hope that Wah will be able to work with me in the fields and continue to enjoy playing football in our village again." 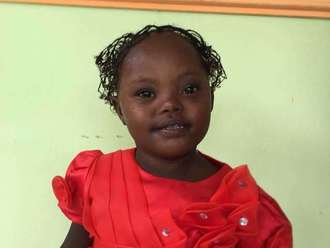 Luza is a toddler from Haiti. She lives with her parents and several older siblings and cousins in a rural, mountainous area of central Haiti. Her parents are both farmers. Luza has a cardiac condition called ventricular septal defect. A hole exists between the two lower chambers of her heart. Blood leaks through this hole without first passing through her lungs to obtain oxygen, leaving her weak and short of breath. Luza also has Down syndrome. Luza will fly to Cayman Islands to receive treatment. On January 24, she will undergo cardiac surgery, during which surgeons will close the hole in her heart by sewing a patch across it. Another organization, Have a Heart Cayman, is contributing $17,000 to pay for surgery. 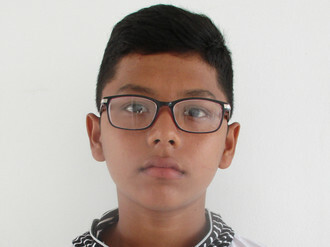 Luza's family also needs help to fund the costs of surgery prep. The $1,500 bill covers labs, medicines, and checkup and followup appointments. It also supports passport obtainment and the social workers from our medical partner, Haiti Cardiac Alliance, who will accompany Luza's family overseas. 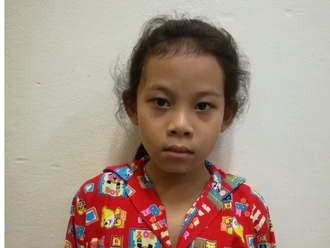 Her mother says, "We are excited for this surgery so that Luza can run and play with her brothers and sisters." David is 45 years old and a father of six from Kenya. He has been working as a mason for over fifteen years. Despite his hard work, he has difficulty earning enough money to pay school fees for his children. On December 7, David was on a motorbike heading home. While turning a corner, he collided with another motorbike. He was rushed to this hospital, where an x-ray was done and David was diagnosed with a broken femur. He is in pain and is on a wheelchair. Fortunately, surgeons at our medical partner can help. On December 13, David will undergo a fracture repair procedure, called an open reduction and internal fixation. This treatment will help him to walk again. Now, our medical partner, African Mission Healthcare Foundation, is requesting $968 to fund this procedure. “I hope to get treated so that I can go and be with my family this Christmas season," says David.